The Master of the Nets Garden is among the finest gardens in China. Recognized with nine other Suzhou gardens as United Nations World Heritage sites, it demonstrates Chinese garden designers’ adept skills for synthesizing art, nature, and architecture to create unique metaphysical masterpieces. 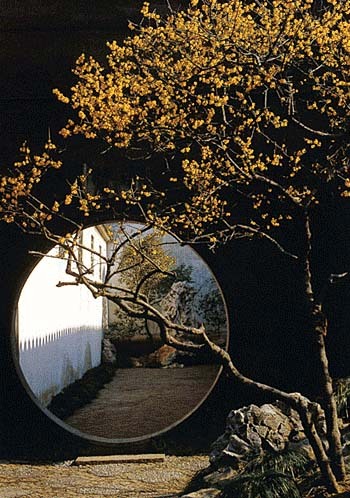 While the initial garden was first constructed over 800 years ago and its physical form has changed drastically since, the name and spirit of the garden remain intact. The Master of the Fishing Nets Garden is particularly regarded among garden connoisseurs for its mastering the techniques of relative dimension, contrast, foil, sequence and depth, and borrowed scenery. While the garden’s primary uses have varied over time, its ability to inspire visitors intellectually and spiritual remains unchanged. Keen physical architecture combined with poetic and artistic inspirations makes the Master of the Nets garden a unique and incredible garden experience that has stood the test of time.